Michael Dinges is Senior Expert Advisor and coordinator of the research field Institutional Change and Policies at the Center for Innovation Systems and Policies of AIT – Austrian Institute of Technology. Michael has more than 15 years of experience in the area of evaluation of research and innovation policies and programmes at European and national level. 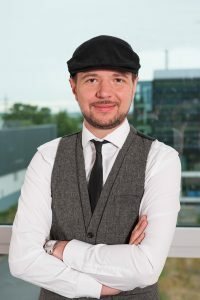 At European level, Michael has conducted assessment projects for the European Commission (DG Research and Innovation, DG Connect, DG EAC) and the European Parliament with a focus on science industry collaborations, ICT, and policies for the creation of the European Research and Innovation Area. Michael is member of the Editorial Board of the fteval Journal for Science and Technology Policy evaluation and an active contributor to international conferences and journals.